The prime minister won power by promising good governance and good days. He has largely delivered the former by shifting the consensus on corruption. The latter is elusive. If Modi is weakened in the upcoming election, some of the gains beloved by global investors will be lost. 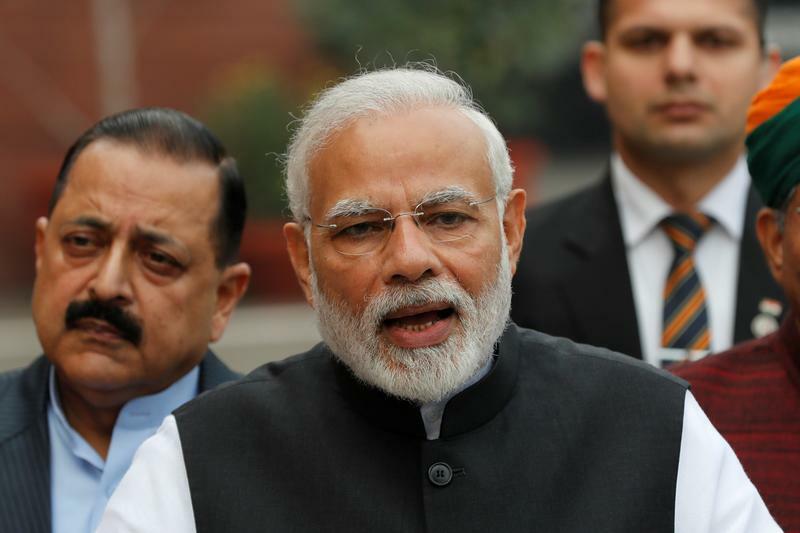 India's Prime Minister Narendra Modi speaks with the media inside the parliament premises on the first day of the winter session, in New Delhi, India, December 11, 2018. India's general election is due to be held by May.